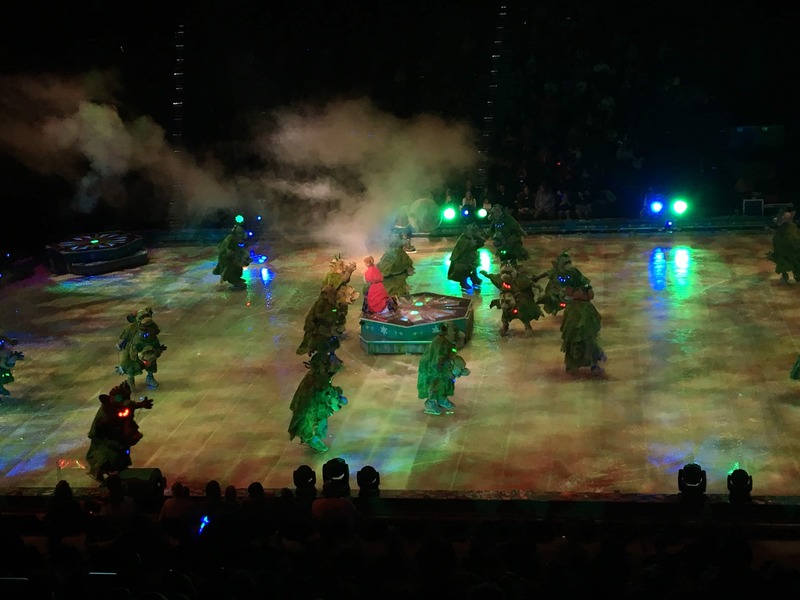 Disclosure: Feld Entertainment provided tickets for my family to attend Disney on Ice Frozen. All text and opinions are my own. This sweet girl of ours will turn 3 next week. I don’t know where time has gone, but I do know it has flown so quickly since she was born. 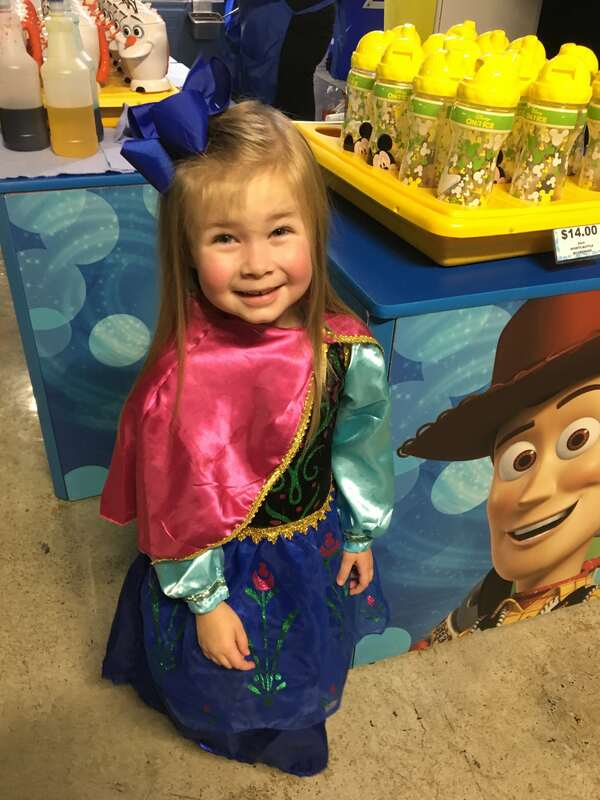 The past couple of months she has fallen in love with Frozen and dressing up like Princess Anna is her favorite. When I saw that Dinsey on Ice Frozen was coming to town, I knew that she would love it. 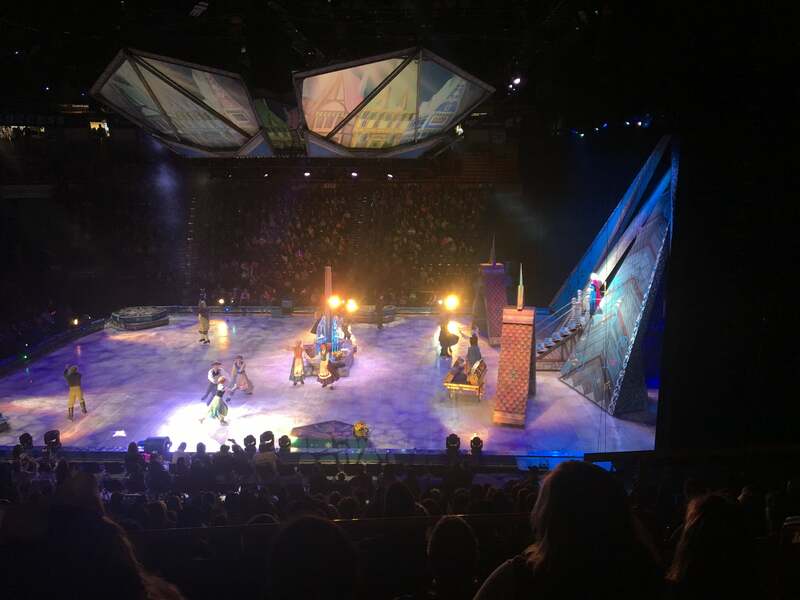 It has been years since we attended a Disney on Ice production. We went about 10 years ago with our oldest, and I was so impressed with how much the changes in technology have benefited the show. The entire show from beginning to end was true to the movie. 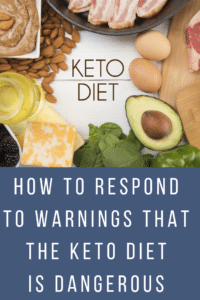 It kept both of our little girls’ attention, which isn’t always easy. It really was such a treat to watch through our little girls’ eyes and to see their excitement. We were all so excited. My husband took off work early, we drove down to Chattanooga for an early dinner and headed straight to the show. We got there at least 45 minutes early, but it allowed us to get a great parking place and walk around the arena before the show started. 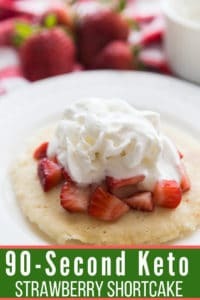 With two littles, I probably wouldn’t get there that early next time because they got a little antsy waiting for it to start. 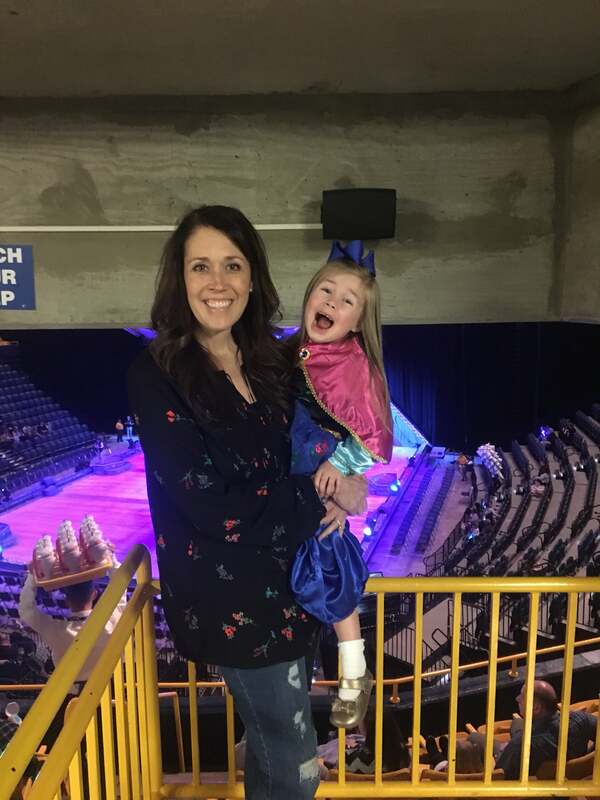 Here we are so excited to experience Disney on Ice Frozen through the eyes of our sweet girl. It was almost impossible to get a picture of us together because she was so excited she would not be still. I tried holding her, but obviously, the excitement was too much. The show started and ended with lots of Disney characters, which was super exciting since she recognized so many of them. This was her first experience seeing people dress up as Disney characters besides Halloween. She was certain that all the princesses were real. The set was gorgeous. They changed out the props several times during the show, but the transitions were all so smooth you barely realized it. I loved the costumes. They were all so realistic. This picture shows just how much she was enjoying herself. 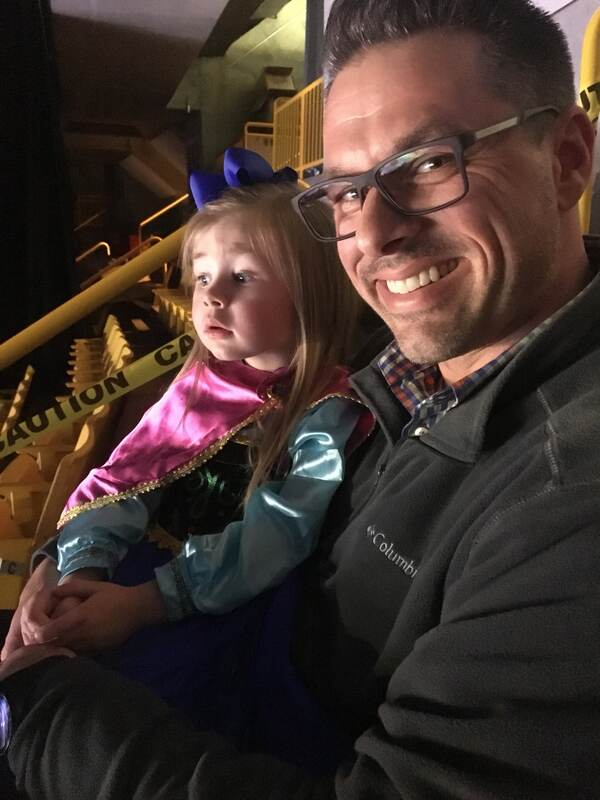 As you can see, she wasn’t about to take her eyes off her favorite princess for a picture. My favorite costumes were the trolls. I couldn’t believe how much they looked like the ones in the movie. 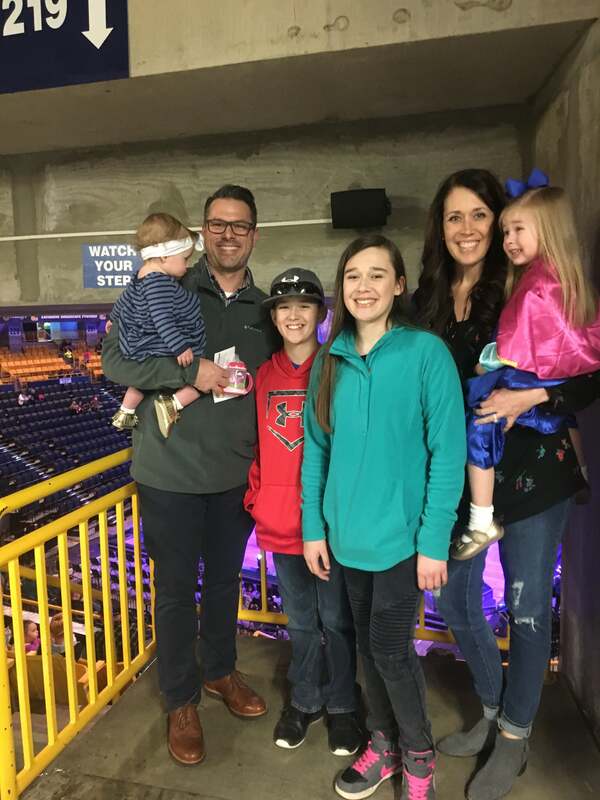 All in all, Disney on Ice Frozen, was such a fabulous way to celebrate our sweet girl’s birthday and a family night out. All of us enjoyed the show, even my tween, and teenager. Even though our tickets were comped, I would have gladly paid for the experience. 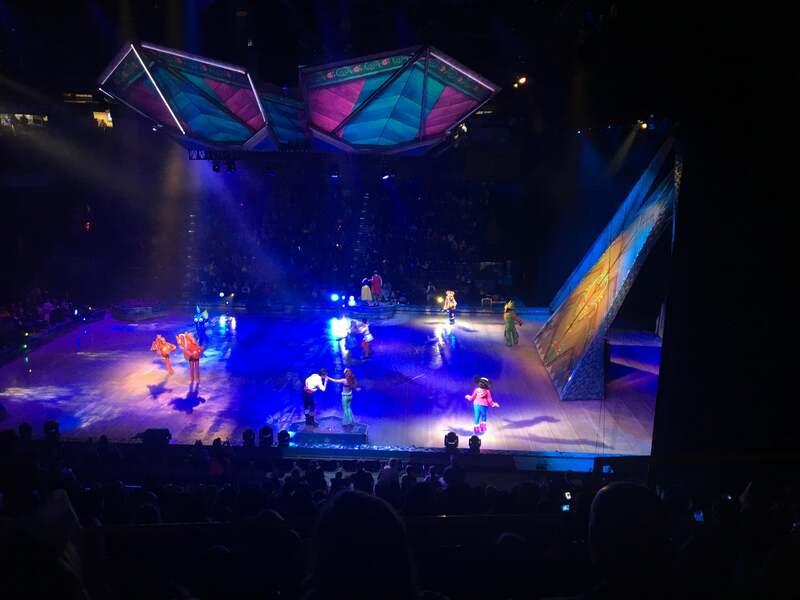 Disney on Ice Frozen will be in Chattanooga at the UTC McKenzie arena through Sunday, November 12. For dates and show times and to check the schedule for other cities and states, click here. « Walmart Black Friday Ad has LEAKED!